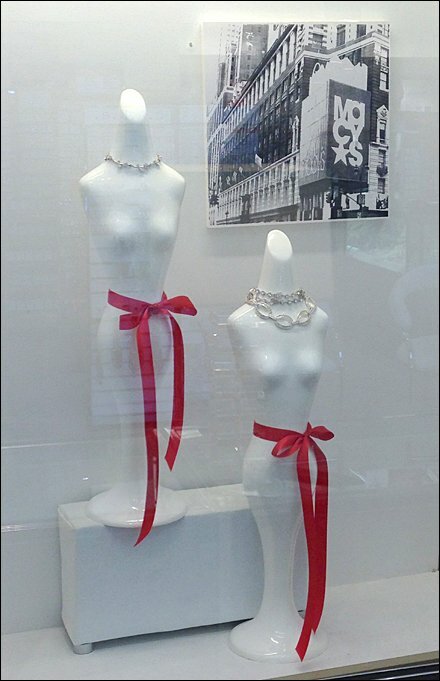 Red Ribbon sashes helped elevate this pure greyscale display. Without a simple splash of color it would have paled into the background. 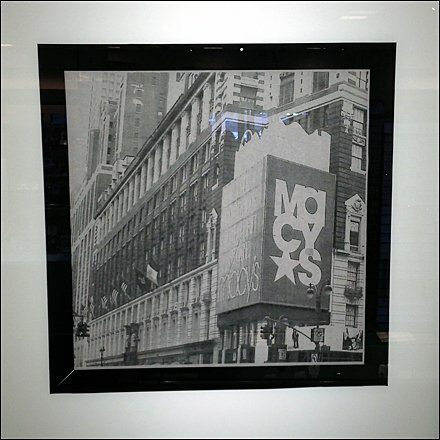 I loved the use of historic grey scale photographs of the retailer, which appeared in various displays at various scales throughout the department. The images added branding as well as historic continuity. CLICK the thumbnail for a second look.